vjoon Overset Manager - Buy Now! 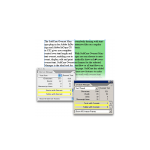 vjoon Overset Manager measures the length of a specific text frame, column or the entire text flow on the fly without interrupting the writer or editor’s creative process. It also counts overset text in real time and shows this overflow in a special frame highlighted with a background color. When it comes to servicing, an upgrade or anything dealing my favorite plug-in, I get in touch with XChange US. I have had my dealings with other software resellers and look for a company that can provide customer service and support as well as prompt delivery. I found these things in XChange US when I purchased my most recent upgrade through them. 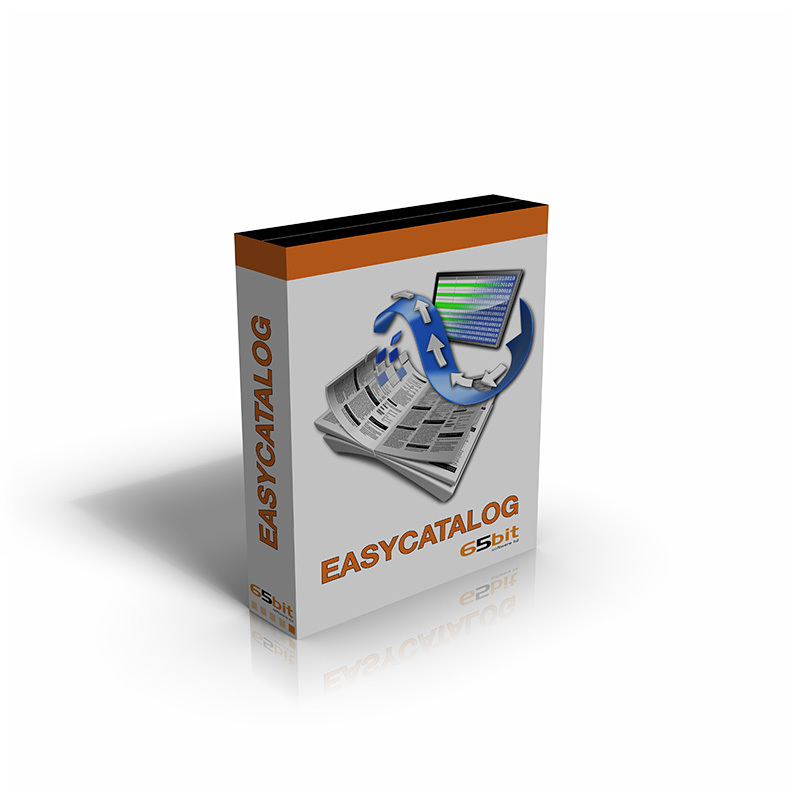 After receiving my product promptly after purchase, I also received a phone call from a representative who wanted to make sure I had seen the arrival of my new software version and asked if I needed anything else. She was very nice it was such a refreshing experience. 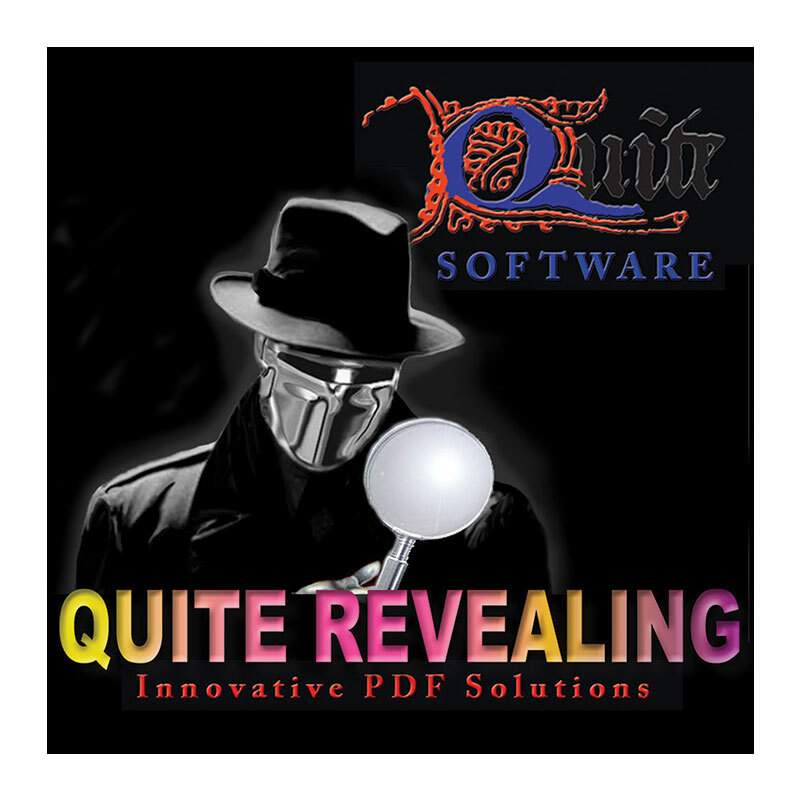 I would recommend this company to anyone with print software needs. The vjoon Overset Manager plug-in for Adobe InDesign and Adobe InCopy gives you complete control over text length and text overset, enabling you to count, display, edit and print overset text. It increases production security by warning you if the document contains overset when you print or export a file. vjoon Overset Manager is the ideal tool for everybody dealing with text-intensive files on a regular basis. 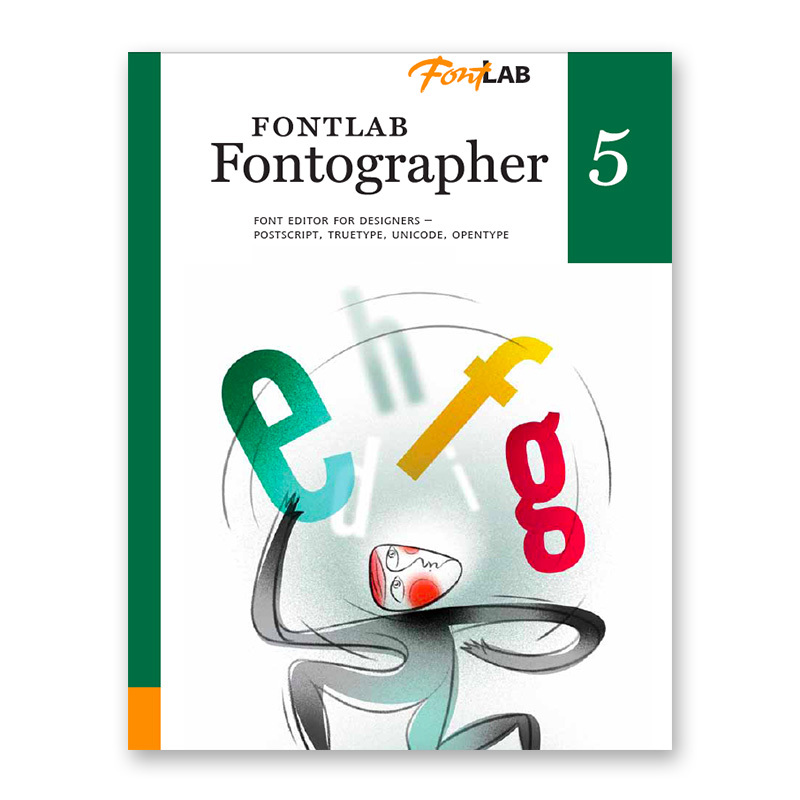 It is available for Adobe InDesign CS6/CC 2014/CC 2015 and InCopy CS6/CC 2014/CC 2015. With vjoon Overset Manager, you can see at a glance if a file contains overset and which text threads are affected. And you can show or hide overset frames for the selected text flow or all text flows on the page. From the vjoon Overset Manager palette, you can go directly to a specific overset frame, and start editing the text. 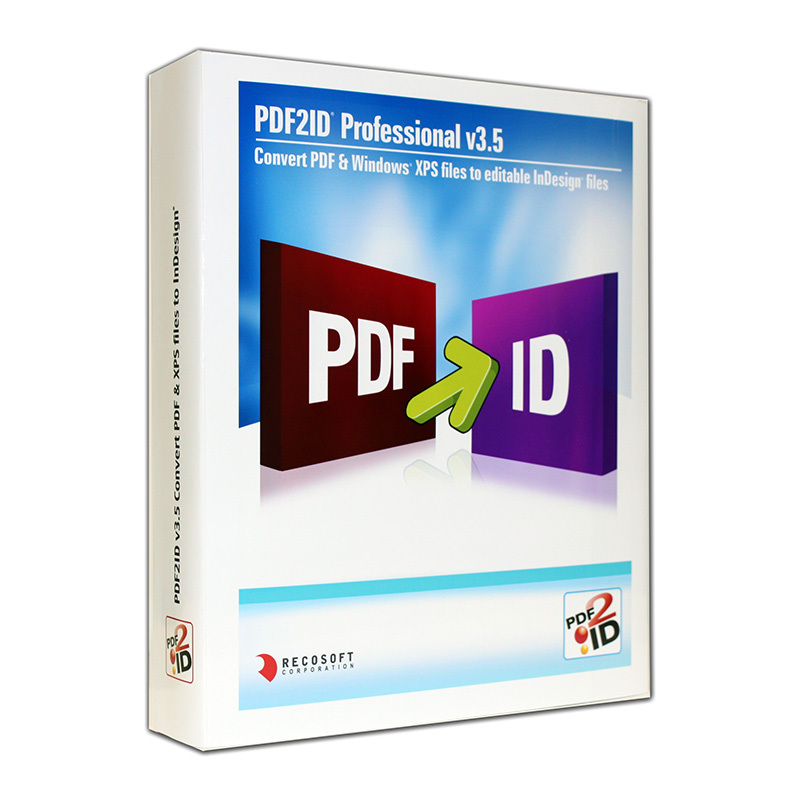 Additionally, you will be alerted when printing or exporting a document containing overset text. With its extensive feature set, vjoon Overset Manager significantly increases the level of production security and helps to prevent costly mistakes. Preferences can be set to determine the background color of overset frames, as well as their position relative to their master frame. Overset frames can be placed comfortably at the top right corner in the document so that even long overset text will be visible. Alternatively, overset text frames could be placed to the left of the original text frame when using right-to-left languages such as Arabic and Hebrew. By counting placeholder text, vjoon Overset Manager allows you to determine the exact text length needed to fill a text thread in order to give correct instructions to an editor. vjoon Overset Manager calculates text length by number of characters, words, lines and manuscript lines. 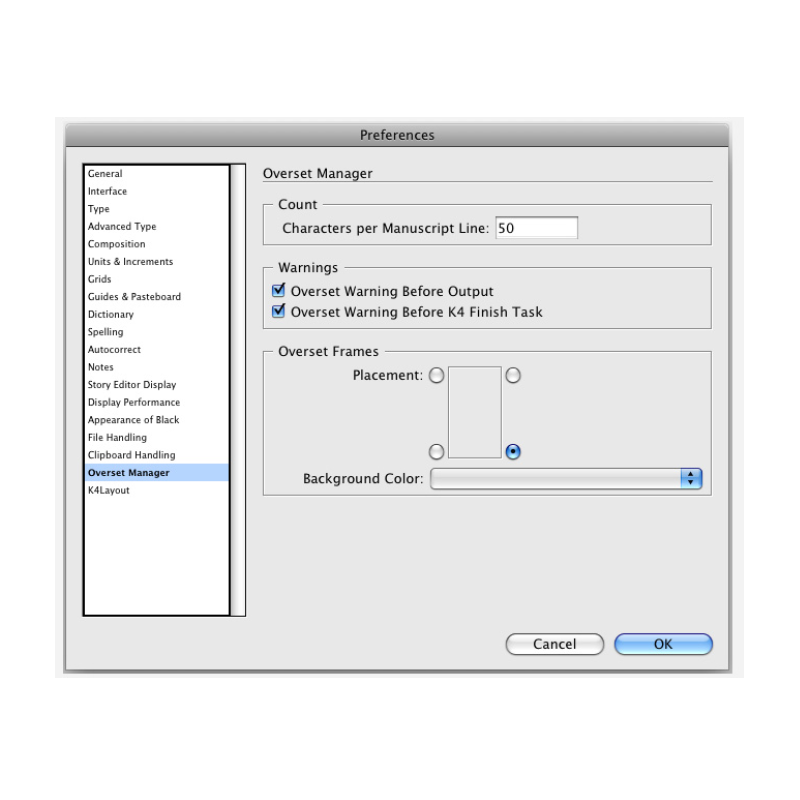 The length of manuscript lines is set in the Overset Manager preferences. By setting the preference to a decimal number, e.g. 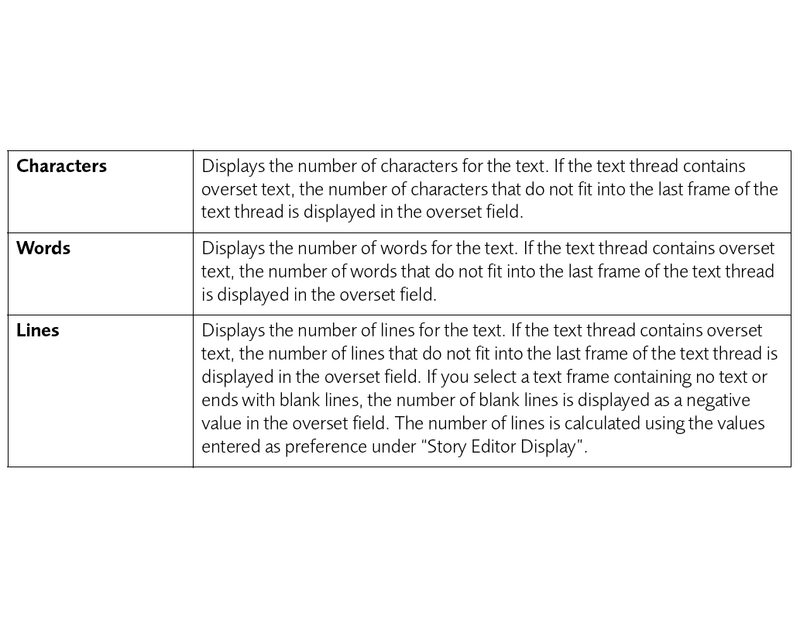 5.9, it is also possible to calculate the number of standard words needed to fill the text frame. 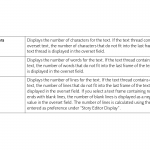 You can measure the length of text in the current selection, text column or text thread, and see values for the text that fits in the text frames as well as for overset text, separately. The vjoon Overset Manager palette allows you to measure the current text selection against the remaining amount of overset text for easy and precise copyfitting. If a text frame is not completely filled with text, the palette displays an estimate number of missing lines for underset text. The text count feature in vjoon Overset Manager differs from the native Adobe InDesign character count feature. 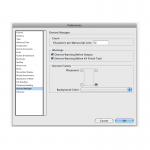 vjoon Overset Manager can be used with InDesign or with InCopy. 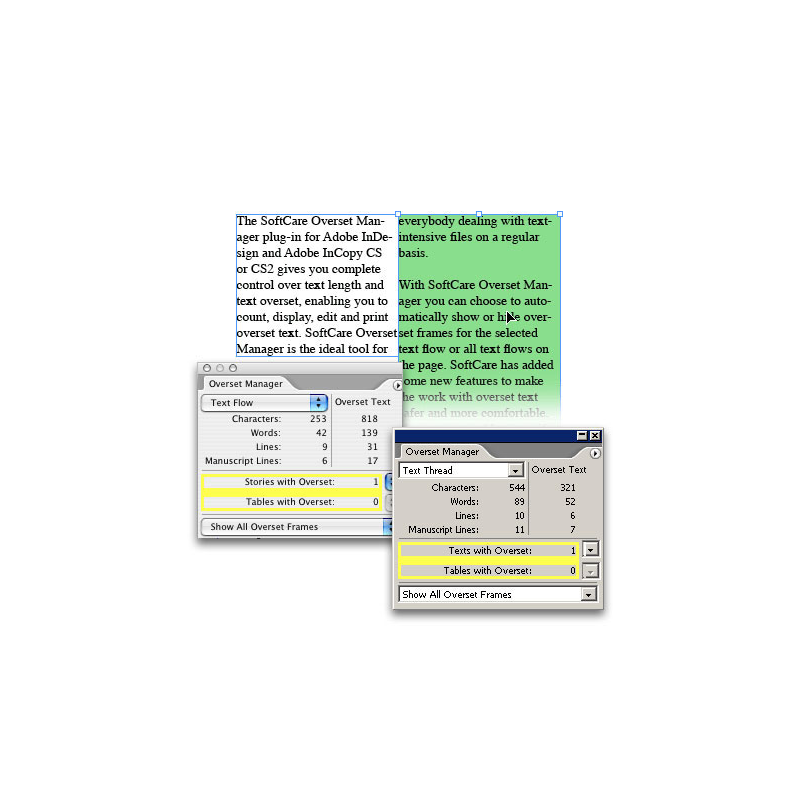 While InCopy provides editors with statistical information and allows to edit overset text in Galley and Story view, vjoon brings these important features to the Layout view, where the editor can see the exact design as it appears on the InDesign page. The following language versions are available: English, German, French, Italian, Portuguese and Spanish. Current Versions: 8.0.4 for CS6, 9.1.1 for CC 2014 or 10.0 for CC 2015. Categories: vjoon GmbH, Software Category, Content & Graphic Design, Adobe Plug-ins & Extensions, Font Utilities, Utilities & Other, Print, Prepress & Publishing, Color Tools, Editorial Tools, Preflight & File Checking, Print, Workflow, Production & Automation, Preflight & Correction. Tags: Adobe, character count, Color, column, copy fitting, count, Design, determine, Edit, Editing, flow, frame, InCopy, InDesign, Layout, Layout view, length, lines, manuscript, manuscript lines, missing, missing lines, overset, precise, Text, text column, text count, text length, text thread, thread, underset, underset text, vjoon.